This charming beanie hat by Kate Spade will keep you warm and cozy while looking chic during the winter days. 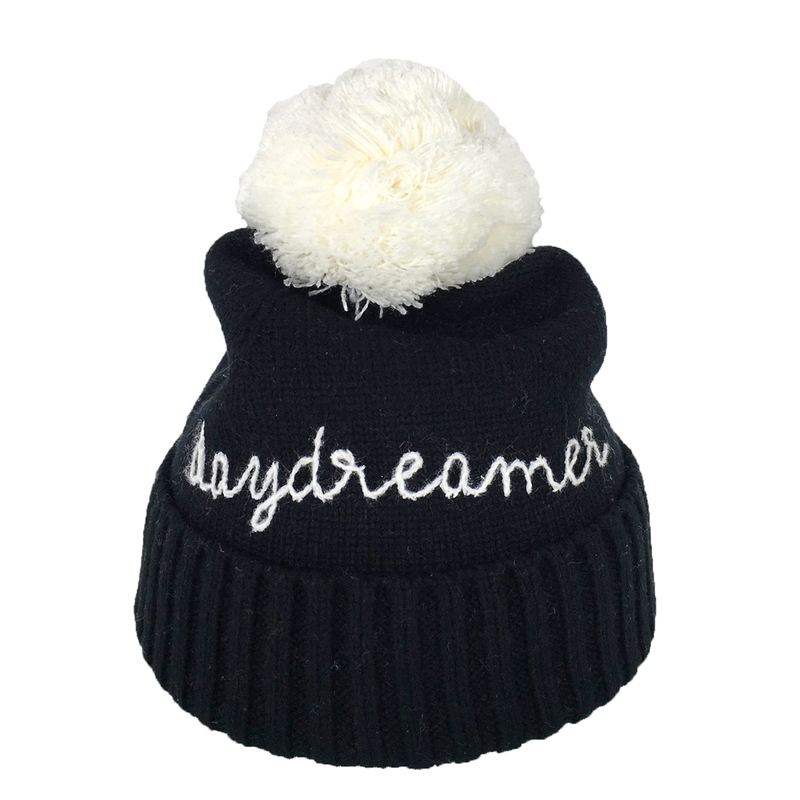 Front embroidered with a Daydreamer text and topped with a contrasting pom pom add a playful touch. Knit beanie hat topped with a contrasting pom pom. Hand stitched "Daydreamer" script on front. Ribbed cuff.